Easy on the eyes and ears. Look for the sweeping round corners and you'll know it's a Nalin adapter. 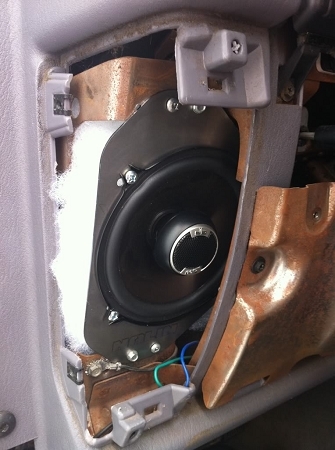 This is the solution to your worn out paper factory 97-06 dash speakers. 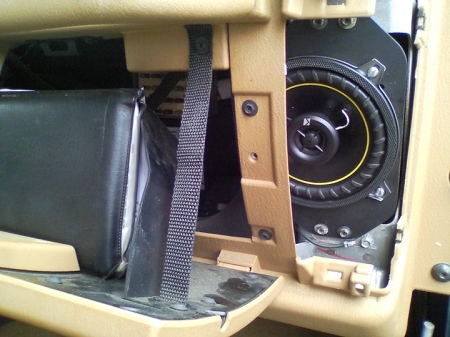 You will be able to clearly hear your radio with the top down on the highway with this upgrade. 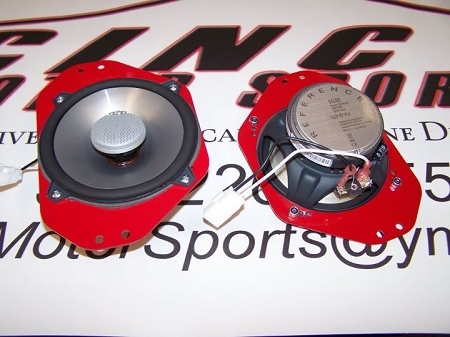 The aftermarket audio industry offers a much wider selection of quality 5.25? 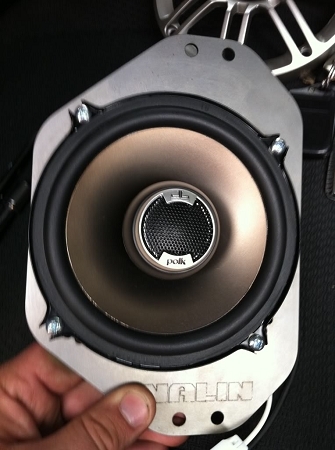 speakers compared to 4"x6"s. Nalin adapters will fit any 5.25" speaker on the market so you can buy with confidence knowing that you're doing it right the first time. Quality A36 steel from Illinois. Top shelf nylock hardware from Ohio. With your order you receive two (2) adapter plates (driver & passenger), (8) machine bolts, and (8) nylock nuts. Shipped bare steel and ready to paint. SPEAKERS NOT INCLUDED. 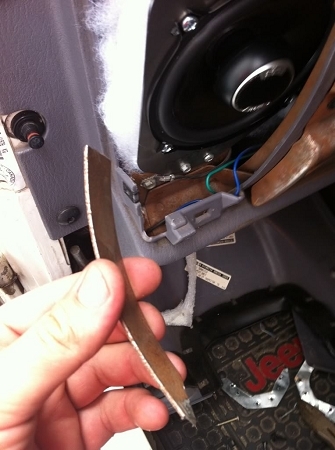 NOTE: All 97-02 5.25" speaker modifications require you cut metal inside your dash. 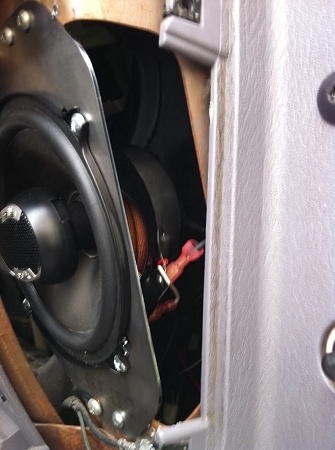 Exercise caution, use appropriate safety equipment, and take the time to read an installation write-up before taking on this project (links below). 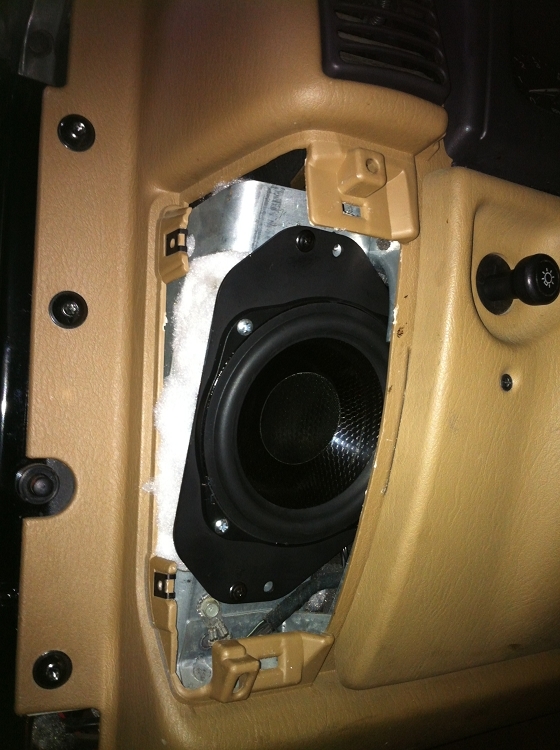 Just used these in my 03 Rubicon really nice and simple upgrade with the Polk db 521's up front. We only by all the good reviews un making the decision to buy these over other adaptors. Great product, quality made, no junk here! Thanks to wranglerforum.com I was able to find this amazing product. Such an easy install any monkey with a tool can do it. 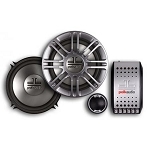 If you want better quality audio this is the perfect addon to your jeep to help make that happen. The fit of these adapters was awesome. 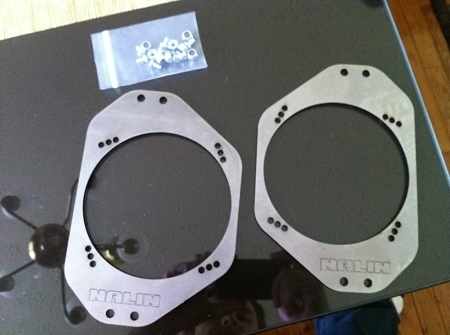 Super high quality laser cut pieces. A total 5 minutes install. The price cant be beat. They are made in America. Also, Mr. Nalin himself is overseas protecting our freedom. 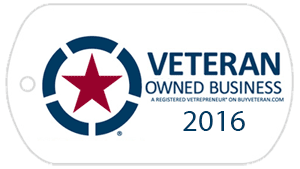 What more can you ask from a small business owner? Thanks again!